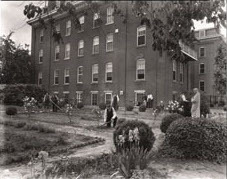 When six Little Sisters of the Poor arrived in Richmond on October 13, 1874, their work of caring for the elderly poor was desperately needed due to the poverty and hardships caused by the Civil War. They carried with them the humble yet confident spirit of Saint Jeanne Jugan. 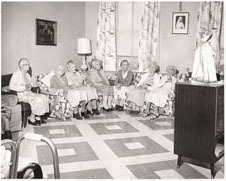 Like their foundress, they knew they were coming to do God’s work—to establish a home where they could take in the elderly poor, care for them, feed them, and love them as though they were Christ himself. And more than 143 years later, the same work and loving spirit of Saint Jeanne Jugan is still very much alive here in Virginia!! According to The Richmond Daily Dispatch, “a little band of six ladies, members of that charitable order known as the ‘Little Sisters of the Poor,’ [arrived] on the 1:30 p.m. train from the North…. They were met at the depot by Bishop Gibbons, who escorted them to their new home [on the corner of Ninth and Marshal Streets.] The house can accommodate about twenty-five besides the Sisters." Because the Little Sisters had outgrown that first house, Bishop Gibbons gave them the property, formerly known as “Warsaw," which was bounded by Main, Harvie, Floyd, and Plumb streets in the Fan District of Richmond. 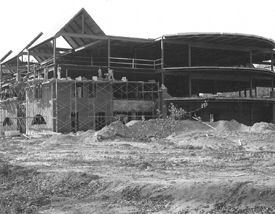 Ten days later, on the feast of St. Sophie, construction commenced on an addition on the north side of the property, which would be named St. Sophia’s Home for the Aged. The Richmond Daily Dispatch reported that the ceremonies for the laying of the cornerstone of the new building of St. Sophia’s “were witnessed by a concourse of spectators numbering several thousand. The Catholic societies participating formed in line at Cathedral Hall at half-past 4 o’clock, and with two bands of music proceeded to ‘Warsaw’ via Marshall, Third, and Franklin streets…. The procession was very long, and attracted much attention along the line of march." 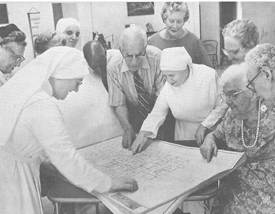 The Little Sisters began caring for the elderly poor at St. Sophia’s. 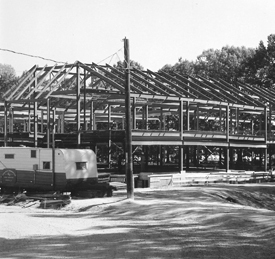 Over their 99 year history on that property, kind benefactors throughout the Commonwealth helped them enlarge, renovate, and modify the buildings to meet the needs of all they welcomed. 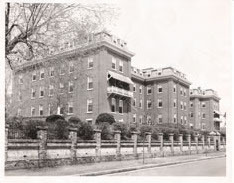 When Richmond Fire and Health Departments declared the building at 16 N. Harvie Street, known as St. Sophia’s, to be unsafe, the Little Sisters were given 24 hours to evacuate the infirmary on the second floor. 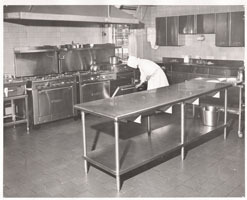 Every available space on the first floor was quickly converted into makeshift dormitories. St. Sophia’s was allowed to remain open on a provisional license until a new home could be built. 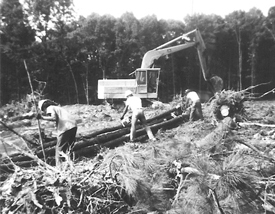 With funds donated by Mr. and Mrs. Bruce Dunstan, a 9.5-acre site at the northeast corner of Three Chopt and Michaels Roads near Franklin Farms was purchased for $142,800. 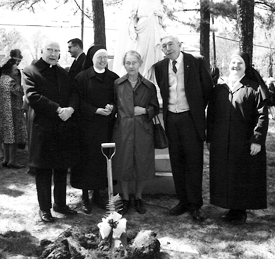 St. Joseph’s Feast Day - Bishop John J. Russell turned the first shovel of earth at a Groundbreaking Ceremony. Construction was scheduled to begin in July. Mr. Herman F. Blake donated the house on the corner of Michaels and Three Chopt Roads. Members of several Knights of Columbus councils and cadets from Benedictine High School helped move furniture and supplies to the new home. 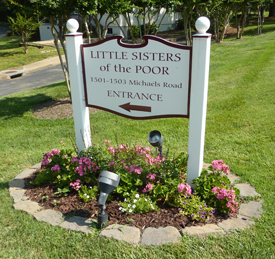 To show their appreciation for the daily interventions by St. Joseph on their behalf, the Little Sisters named its new $5 million Home for him during a dedication service attended by well over 1,000. 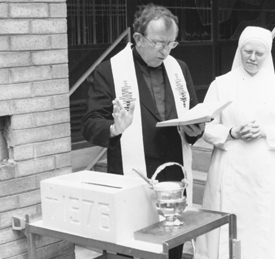 Bishop Walter F. Sullivan presided at the blessing of the cornerstone. 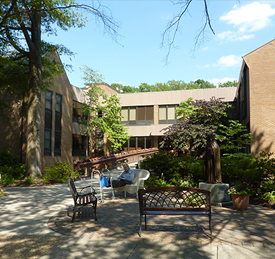 Residents of the old St. Sophia’s Home move to their new St. Joseph’s Home. 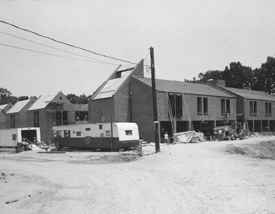 The first Residents begin moving into Independent Living addition. 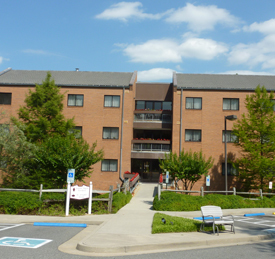 The Little Sisters named their new Independent Living apartment building Jeanne Jugan Pavilion. Bishop Walter F. Sullivan presided at the blessing of the cornerstone and dedication ceremony.